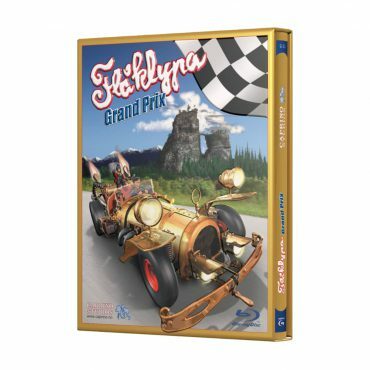 View cart “Pinchcliffe Grand Prix (Blu-Ray)” has been added to your cart. Koenigsegg lanyard in black with white stripes. Clean and elegant design to show your passion for Koenigsegg. Original Koenigsegg Collectors item. Porcelain enamel wall plaque of 15,7 x 11,8 inch / 40 x 30 cm. Limited to 277 units. Individual numbered wall plaques with matching boxes. This is the classic tale that inspired the birth of Koenigsegg. The movie is about following your innermost beliefs and fulfilling your dreams. Christian von Koenigsegg saw the movie for the first time in 1976 and decided that one day, he would build the world’s fastest car. In 1996 that dream came true when the first Koenigsegg was completed. Storyline: 100 miles north, a bit east and up, is Flåklypa (Pinchcliffe)… the home of bicycle repairman Reodor Felgen and his two assistants – Solan Gundersen, a morning bird and natural born optimist, and Ludvig, who is a true pessimist. Sponsored by oil sheik Ben Redic Fy Fazan, they build the car “Il Tempo Gigante” and persue the race of the decade.For all ages. Selectable Audio and Language: English, Swedish, Norwegian, FinnishPlay time: 88 min The film is copyrighted by Caprino Filmcenter AS.